From a niche art form struggling to fill seats a few years ago, to now, where everyone who's heard of George Carlin rushes to open mics. It's been one heck of a journey for Indian comedy. 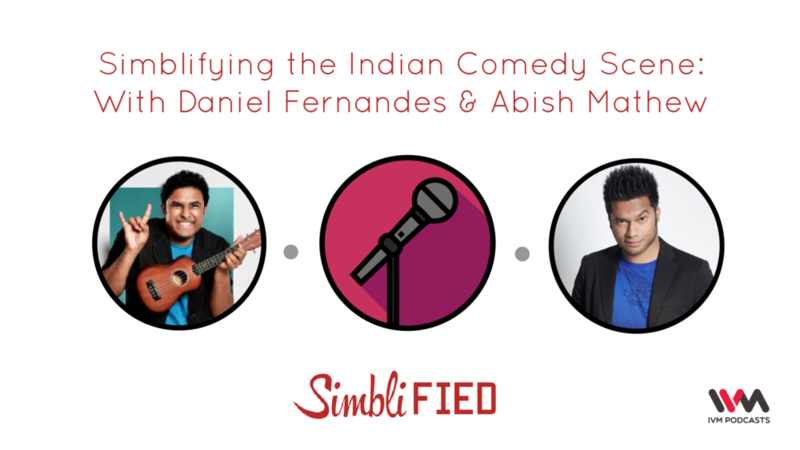 The guys at Simblified speak to two veterans from the scene: Stand-up comedian Daniel Fernandes and he-does-it-all guy Abish Mathew, to talk about how the scene has grown, what aspiring comics should keep in mind, what the business of comedy is like, and more. Along the way, there are fascinating anecdotes and their own personal stories in the comedy scene. Needless to say, it's the funniest Simblified episode to date, and one which could have easily gone on for longer. You probably already do, but follow Danny and Abish on the socials: They're @absolutelydanny and @abishmathew on both Instagram and Twitter, to keep up with what they're up to and about new shows (specials, videos and all that). Ep. 79: Yawn. How interesting!